Norwich City have agreed to sign defender Elliott Ward from Coventry City on a two-year deal. The 25-year-old's contract expires on 1 July when he is expected to join the Canaries on a free transfer. Elliott played 126 games for the Sky Blues, finding the net 16 times, but spent most of this season on loan at Doncaster and Preston. 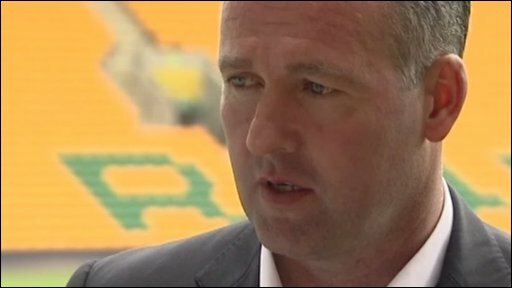 Norwich boss Paul Lambert told BBC Radio Norfolk: "He's got a terrific pedigree and we needed experience." The former West Ham trainee looks set to replace central defender Gary Doherty after the 30-year-old was released by Norwich on 14 May. Lambert added: "He's played a lot of games for someone who's only 25 and I'm hopeful he'll do great. "I'm not naive enough to not think there were a few other clubs in for him. "But the big selling point for this club is the fan base and it will always be the case." Ward has built a reputation as a ball-playing defender, and has been known to score from the odd overhead kick, but the manager has made it clear what his job will consist of. He said: "I'll do exactly what the gaffer's telling me to do - head it, block it, kick it and put my body in front of the ball. "But when it's the right time I want to play good football. "There are big clubs and small clubs and this is definitely up there with the biggest, and they're trying to get up there again with the big teams." 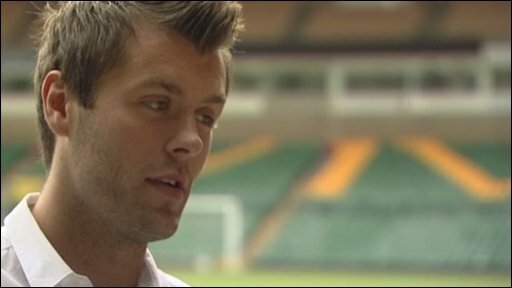 The defender joined Coventry for £1m from the Hammers in June 2006 and later became the club's captain and penalty taker. He is Lambert's second signing of the summer after midfielder Andrew Crofts' arrival from Brighton.